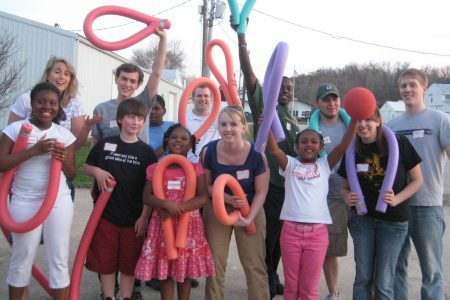 Community-based mentoring is the flagship program of Big Brothers Big Sisters. We match adult volunteers in one-to-one relationships with children who are looking for mentors. All participants commit to a minimum involvement of 18 months, which ensures strong friendships with lasting positive outcomes. Volunteers are now needed in Johnson County, Oskaloosa and in the West Branch area. Volunteers meet with their Little Brother or Little Sister on a regular weekly or bi-weekly basis for fun activities of their choice. BBBS provides a professional staff member to support the relationship. Our ongoing role is to answer questions, provide assistance, and keep you informed of agency and community resources. Big Brothers Big Sisters school-based mentoring brings one-to-one mentoring into local schools in order to provide a strong relationship and support to students. Big Brothers and Big Sisters in this program meet for an hour each week. Volunteers visit with their Little Brother or Little Sister at the same day and time each week during school hours. The volunteer and child are free to choose their activity for the time they are together. Activities may include playing games, reading, eating lunch, working on academics or just hanging out and talking. There are games and activities supplied by BBBS. School-based mentoring is an effective way to provide a friend to a child who may need a little extra help and guidance from a volunteer mentor. We offer this option at 14 area schools in Iowa City, Coralville, North Liberty and Tiffin. Relationships start at the beginning of the semester and last throughout the school year, with some phone and/or mail contact during the summer months. A 18-month commitment is required, and a 24-month commitment is encouraged. All Big Brothers and Big Sisters in the school-based program go through a screening process as well as a training and orientation session. 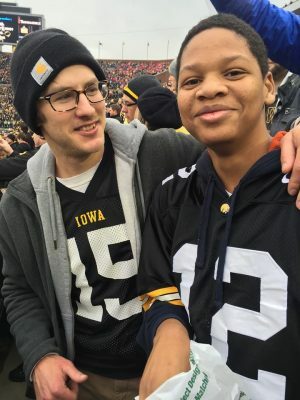 School-based mentoring is a collaboration between the Iowa City Community School District, Big Brothers Big Sisters. Big Brothers Big Sisters partners with 4-H to host after-school clubs at both North Central Junior High in North Liberty and Solon Middle School. Youth and mentors engage in group activities as well as 1-on-1 relationships. A 4-H Youth Specialist uses student interests to design and lead a fun hands-on experience that is fresh and unique every week. Students and mentors do activities related to leadership, STEM, art, cooking, healthy living, career readiness, service, mindfulness, and more, and participate in 3 field trips annually. We create a fun and safe environment for experiential learning, while also helping club members build a supportive relationship with a caring adult. For the 2018-19 school year, the North Liberty club meets on Wednesdays from 4:00 pm – 5:30 pm and the Solon club meets on Thursdays from 1:51 pm - 3:21 pm. A 18-month commitment is required, and a 24-month commitment is encouraged.